The ruling AIADMK on 10 December via a tweet has disclosed that Sasikala Natarajan may become the new general secretary and lead the party. The announcement on Twitter has come amid speculations that Sasikala is eyeing the top post of the party's general secretary. Senior functionaries of AIADMK urge Thirumathi Sasikala to lead the party on the path shown by Puratchi Thalaivi Amma. Earlier in the day, senior AIADMK leader C Ponnaiyan said there is nothing wrong on calling Sasikala as a "key member" of the party. Further commenting on the election of the new general secretary, he had said that the election will be unanimous. However, AIADMK's women wing does not support Sasikala's appointment. 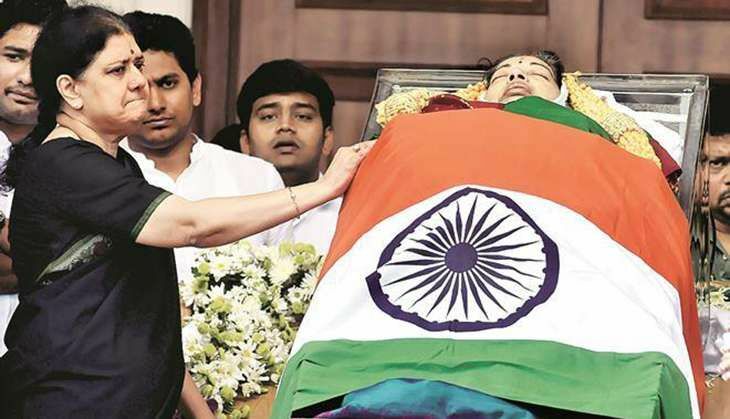 Ecoomic Times quoted Tamilarasi Ramachandran, AIADMK's womens wing representative from Villivakkam, as saying, "This party and Amma's residence belongs to its cadres and the crores of common people like us who worshipped her. We will not allow either the party or the places where she lived in to go into the hands of evil spirits." "The party cannot go into the hands of those who were living with our Amma. We will stop working for the party if that happens. Already we feel that women cannot be safe anymore in the state after Amma has left us," ET quoted Ajitha Murugesan, another women's wing representative from Avadi. Currently, Sasikala holds no posts within the AIADMK.